The founder of this must-have skincare line tells us about her discoveries and the power of the ocean. Inspired by elements of the ocean, OSEA (an acronym for Ocean Sun Earth Atmosphere) is not your typical natural skincare line from Malibu. Founder Jenefer Palmer created OSEA in tribute to her family’s holistic healing practices and belief that nature heals the body permanently. When invited to become a Spa Director at Murrieta Hot Springs, Jenefer discovered that most skincare lines used unnatural and harmful ingredients in their products. That is when Jenefer made it her goal to establish a skincare line with 100% natural ingredients from the ocean. Jenefer now travels the globe in search of the purest, cleanest, most effective ingredients from the ends of the earth. Finding her key ingredient to OSEA’s skincare line happened accidentally on a trip to Buenos Aires. While receiving a special algae treatment at a spa, she realized how incredibly smooth and healthy her skin felt. 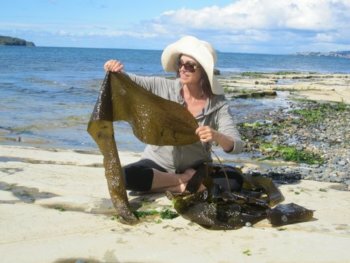 Tracking the source of this unique algae, she found out that the species was called Gigartina which grows on the Patagonia Coast of South America. Through several trips and with the help of a local family, Jenefer was able to harvest Gigartina safely and in an eco-friendly manner. This algae and Jenefer’s dedication to bringing the best natural and affordable products are what make OSEA one of our favorite skincare lines. OSEA’s best sellers for skincare include the Advanced Protection Cream (a must-have to protect us city girls from pollution and urban elements), Ocean Cleanser (which smells like peaches and doesn’t dry out our skin) and their highly effective Blemish Balm. Marine algae, mineral salts, and dermal proteins are primary ingredients. Sea minerals and botanical oils are 100% natural and reduce signs of aging. Our favorite regimen for women experiencing breakouts is cleansing with OSEA’s Ocean Cleansing Mudd, which evens out skin tone and unblocks pores. It smells minty and tingles just the right amount. We follow that with OSEA’s Blemish Balm, which works well for women who are prone to acne, inflammation or oily skin. Gigartina, Macrocystis, and Undaria seaweeds are key ingredients of the Blemish Balm along with the essential oils of Juniper, Rosemary, and Cypress. We follow it with spot-treatments of OSEA’s Essential Corrective Complex and their Essential Hydrating Oil, both of which are very easy to apply with the small glass bottle’s attached rollerball, and give you a free mini-massage along your face and neck every day. For women 25 and older, we absolutely love OSEA’s Organic Undaria Alga, which is green and comes in (as all OSEA products do) a glass bottle. From the pristine waters of Patagonia, this all-over serum actively protects your skin’s natural stores of hyaluronic acid, boosts collagen production, maintains moisture balance, and increases cell stability. To boot, it smells absolutely delicious, with hints of peach. We’re also crazy about the luxuriously smooth texture and the subtle glow that results from OSEA’s Anti-Aging Body Balm. Alaria Esculenta marine extract improves the skin’s elasticity and Macrocystis algae is high in iodine, vitamins and minerals to heal sun-damaged skin and prevent wrinkles. Botanical Coconut and Babassu oils are readily absorbed and rejuvenate dry, flaky skin leaving behind the scent of paradise. In fact, we love that all of their products are packaged in glass, so you avoid all the toxic chemicals from plastic seeping into the product. With OSEA, women can feel confident that their skin will be healthy and free of any impurities or harsh chemicals, plus receive the assurance that their skincare is vegan, gluten free, biodegradable, and natural. We talked to founder Jenefer Palmer about her experience as an entrepreneur, her knowledge of all things anti-aging, and the power of the ocean. Urbanette Magazine: If you could describe the connection between the sea and skin, what would it be? Jenefer Palmer: I believe the ocean is extremely healing for your body, soul–and skin! When I go to the beach, it lifts my spirits and my skin and hair look great. Urbanette: Completely agree! The beach does much physical and mental healing. Where does this idea fall with OSEA? Jenefer: OSEA is based on the belief that we can harness the pull of the ocean’s energy, and the healing power of the sea, to restore beauty, health, and well-being. Urbanette: So what sparked your connection to the ocean’s benefits and powers? Jenefer: I also come from generations of women connected to the sea. My grandmother, one of the first women chiropractors, swam in the ocean every day. I discovered the true bounty of the sea for myself in the form of Gigartina and Undaria Algae. Urbanette: Can you tell me a little more about the elements that make these algae so crucial to the skin? Jenefer: I call these nutrient-rich sea plants skin superfoods because they have so many minerals, amino acids, antioxidants and trace elements that our skin needs. Urbanette: What happened before you created OSEA? Jenefer: Before starting OSEA, I studied bio-dynamic cranial therapy and polarity therapy, along with a number of other healing modalities. Early on, I made the connection between beauty and wellness. So, when I became the Spa Director at Murrieta Hot Springs, I realized that I needed natural products in order to give my clients the absolute best results. Urbanette: Natural products make a huge difference when it comes to spa treatments. Why did you decide to make your own skin care line? Jenefer: Since I wasn’t satisfied with any of the skin care lines available to me, I decided to make my own. I wanted to create skin care products with pure, active, naturally-derived ingredients from the sea. Urbanette: What are specific health benefits of the Gigartina species of algae? Jenefer: There are so many! But before I tell you about the incredible benefits, I have to tell you how I stumbled upon Gigartina seaweed. My husband I were on a trip to Buenos Aires and we stayed at a great little boutique hotel. After a 12 hour flight, I was pretty jet-lagged and decided to check out the hotel’s spa. I ended up soaking in a fresh algae bath. It was amazing! I just couldn’t believe how great I felt. By the time I headed back upstairs to get ready for dinner, my skin was glowing, and I felt incredibly relaxed and recharged. Confession: I ended up staying out until 3am and my husband was in bed by 9pm–suffering from terrible jet lag! Urbanette: Definitely worth bragging about! How did you begin finding the ingredients from your amazing spa treatment? Jenefer: I had to find out more about this algae and I became obsessed with tracking it back to its source. I learned it was the Gigartina species, renowned for having a very high vitamin, mineral, amino acid, and enzyme content. The search for the source brought me to a desolate beach in Patagonia where the pristine waters produce some of the most nutrient-dense algae on earth! Urbanette: Finding this seaweed must have been an interesting journey. What kind of healing does Gigartina bring to the skin? Jenefer: The benefits of seaweed are endless. It’s the best-kept secret of the ocean! Gigartina stimulates collagen production, hydrates and soothes skin. Gigartina is a powerful moisturizing agent and protects skin from environmental aggressors. It also stimulates cell regeneration! OSEA’s wild Gigartina seaweed is certified USDA organic and hand harvested in Patagonia, where it is carefully sun-dried on special drying beds. Urbanette: Who introduced you to the eco-friendly method of harvesting Gigartina? 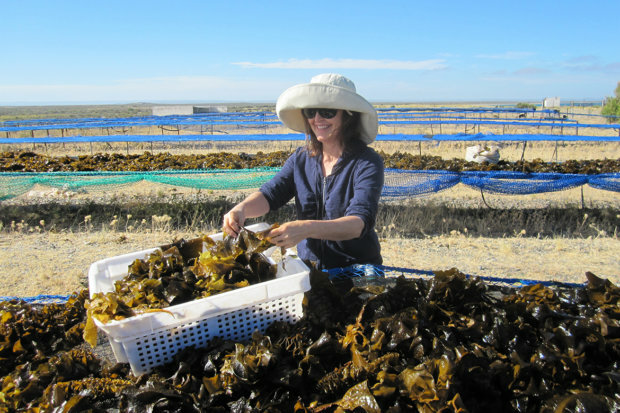 Jenefer: When we traveled to Patagonia, we met a local family who have been harvesting seaweed for three generations! They were kind enough to share their knowledge of the local algae with us and showed us where and how best to harvest seaweed sustainably. Urbanette: That’s so helpful. What did you learn about Gigartina’s habitat and origins? Jenefer: Wild Gigartina Algae naturally washes up on the shore and we collect it by hand. In mid-summer, the desolate beaches of Patagonia are knee-high with Gigartina. Undaria Algae, another one of our favorite natural ingredients also comes from these waters. Undaria is an invasive species of seaweed that originated in Japan and came to Patagonia on the hulls of trade ships. We have divers who go out and hand-cut our Undaria instead of using large nets that can wreak havoc on seaweed forests and ocean floors. Urbanette: What would be your must-have product from OSEA? 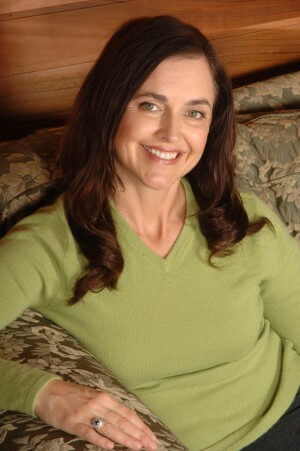 Jenefer: For the founder of a skincare line, that question is a little like revealing the name of your favorite child! I love all of the products that we make and share with our customers, but my personal favorites for my skin are Essential Hydrating Oil, Advanced Protection Cream and Sea Vitamin Boost. I use these every day on my face. I alternate between the OSEA cleansers depending on what kind of treatment I feel my skin needs. And I absolutely love our new Undaria Algae Oil for the body. It makes my skin so silky smooth. Urbanette: Any advice for women new to the natural skin care industry? Jenefer: Read your labels! Understand that properly labeled products use the INCI (International Nomenclature of Cosmetic Ingredients) name of their ingredients. It is a system for naming cosmetic ingredients that is multilingual, multinational and based on the Latin language. Sometimes the INCI names don’t sound natural, but they are! Urbanette: I love INCI for skin care information. Do you recommend any other research methods about ingredients? Jenefer: I also believe in educating people on how to crack what I call the “Cosmetics Ingredients Code” by looking up the ingredients that aren’t familiar to you and knowing about common “catch-alls” that cosmetic companies rely on to avoid saying what’s really in their products. One common “catch-all” ingredient that often allows corporations to hide nasty chemicals like phthalates is Fragrance/Parfum. 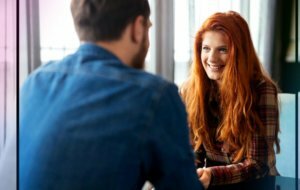 You can find answers to your questions and stay up to date on the latest in natural cosmetics on websites like safecosmetics.org. Urbanette: OSEA helps support many local efforts to preserve the environment. How is OSEA contributing to the efforts of Heal the Bay? Jenefer: I feel that OSEA’s most important good work is providing the ingredient conscious skin care shopper with natural skin care that works! I have done a lot of lobbying for stricter skincare labeling legislation. We also care about preserving the natural ecosystems of the Earth because that is where we source our favorite skin care ingredients. OSEA has donated a portion of its sales to Heal the Bay and actively supports many other charitable foundations such as Children’s Lifesaving Foundation, PETA, Breast Cancer Fund and Los Ninos Foundation. In general, OSEA operates by the principle that we make a living by what we get and we make a life by what we give. I believe Winston Churchill said it best when he said that. Urbanette: Preserving the environment through eco-friendly efforts will help keep our Earth healthy and happy. Any exciting future plans for OSEA? Jenefer: We are creating 100% natural derived products for hotel rooms using OSEA’s certified organic seaweed. All of the products will be vegan, gluten free, and free of synthetic color. Coming soon to your room: Wild Gigartina Body Wash! Urbanette: Can I be the first person to try that please!? We need better skin products at hotels and having OSEA on my trips would be amazing. What’s your favorite moment as the founder of OSEA? Jenefer: There are many favorite moments. 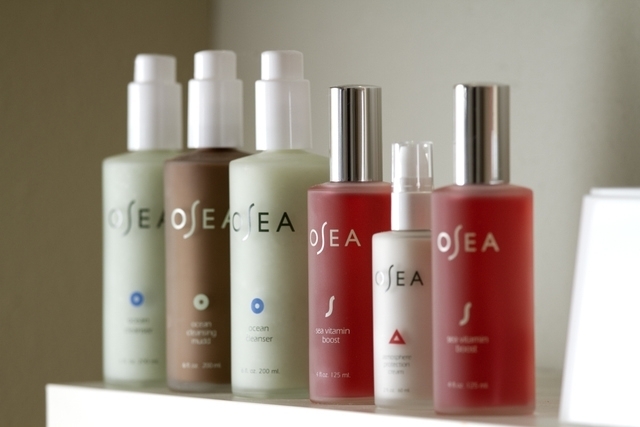 I love it every time a customer writes us to tell us just how much OSEA has visibly improved their skin. I love making true believers out of people. I also love the moments when we discover new natural ingredients to add to our skin care formulations. I’m just as passionate as I have ever been about powerful natural ingredients being the key to restoring skin to its highest level of health and appearance. I didn’t know that there were so many types of seaweed. Haven’t heard of Gigartina in my lifetime. It’s true that the benefits of seaweed is endless. Nature has it all and we just have to take the time to discover it– but not exploit it. We rely on so many toxic chemicals to keep our skin looking young and radiant without realizing that natural products will work better. Our skin recognizes these natural products because I think that we are one with nature! You don’t need those expensive chemical peelings that make you look like a shedding snake..
LOL shedding snake. Anyway, great point. The only problem with natural products is that not all seaweeds are the same and it can affect the production process and the quality of the product. It’s great that they’re eco-friendly. I bet they don’t do animal testing too. They support PETA, so I guess they don’t. I don’t know why but when I tried OSEA it gave me allergies. I think my skin doesn’t like seaweed. I really wanted this to work for me! The best way to know how to handle nature is by reaching out to the locals. These people don’t care about machinery. Jenefer is great. I can’t imagine how this certain type of seaweed isn’t even significant to others but she managed to create something amazing out of it. People like them are really born as entrepreneurs and business minded people. It’s really amazing how people can invent things from nothing. OSEA is such a nice brand, I actually tried one of their products. I know 1 product can’t justify ALL their products, but I’m happy with what I have so far. I’ll purchase more soon! One product says a lot about the rest. Although it can be a hit or miss for some brands. I’ve tried this before but I always try new things so I forgot about it. I’m going to check what I’ve used before and maybe start using it again. I didn’t know the philosophy of their products before. It can become a problem once OSEA gets known for what they do. They will be forced to produce more and harvest more.